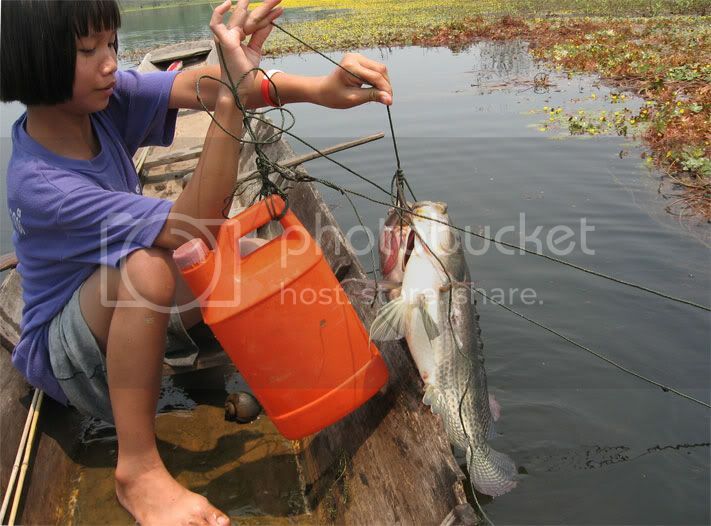 www.kayakingthailand.com is only a one page website. When this domain name is applied to a multi-page, modern, responsive, mobile-friendly new site, the SEO performance will improve significantly. We are still taking bookings for tourists wanting adventure tours in northeast Thailand including guided walks through the jungle to the edge of the mountain plateau, overlooking the Mekong River to Lao (Laos), private lakeside camping holidays and kayaking down the Mekong River near Vientiane, the Lao capital city. Recreational kayaking down the Mekong River near the Wat Hin Mak Peng, river temple, is a relaxing activity in Nong Khai province, north east Thailand, near Vientiane. While you're kayaking in northeast, you get a relaxing feeling from this peaceful Thai natural environment. Enjoy the flowers growing on the water. Bird watching on Thailand lakes at it best. See big fish swim or go kayak fishing in Thailand. Don't forget your camera to capture some of the best photos of Thailand from your hired kayak. Our kayaks are local boats made of wood. We also have modern plastic kayak hire in Thailand. You can kayak yourself but if you're lazy to paddle your kayak, "Kayaking Thailand" can arrange a tour guide to paddle your kayak to beautiful environments of northeastern Thailand. To kayak all of the lake system takes about four hours and if youÃ¢â‚¬â„¢re the sportive type we can arrange adventure trekking with a Thai guide through the forest where you can see big trees, herbs, waterfalls and a nice view over the giant Mekong river. Or you can fish, swim or tube in our private lake and relax with a cool drink. JJ Kayaking can show you a nice cave not far from Wang Nam Mok village by car, or show you some important Buddhist temples in Nong Khai provice of north eastern Thailand. After a fine day full of activities you can watch the sunset and clear your head with some food and cold drinks. Breathe the clean air of Wang Nam Mok, Nong Khai with "Kayaking Thailand". Photos of kayaking in Thailand on a kayaking holiday with Thai kayaking guide Joon and Jeroen Eisma. They take tourists on jungle walks on the Wang Nam Mok plateau, and kayaking on the Mekong River in northeast Thailand with "JJ's Kayaking Thailand". Includes photo of Joon & at Wang Nam Mok Waterfall. Recreational kayaking in south Thailand is best from islands in the Andaman Sea where kayaking charter boats take tourists kayaking in remote locations. There is also some recreational kayaking to be had from islands in the Gulf of Thailand. Fishing / swimming / tubing. We are Jeroen a "Kajakken" Dutchman and Thai Joon, a couple living in northeast Thailand near the Mekong River border of Laos. In this beautiful green and peaceful environment, we set up our kayaking business and let you taste the beauty of Thailand's nature. Our 2 man kayaks are made of sturdy, roto moulded plasic. We transport the kayaks to Mekong River lauching sites depending on your required duration of the easy down the Mekong River kayaking trip. Our ground support team vehicles pick kayaks up at your destination. We stop off at beautiful waterfalls for a delicious lunch which is included free with your Thai kayaking tour. Wang Nam Mok" is our home village. It's a very small typical Thai village community, in the hills of the Mekong River. Joon was born here. She knows everything about the Si Chiang Mai, district, which has beautiful waterfalls, rainforests, the Mekong River, several beautiful temples, a cave and the big lake near our camping ground. We will give you a warm welcome with Isaan / Thai food and drinks. If you like a relaxed day or, one full of activities in this wonderful rural place where the people are poor but smile all day phone us for us to welcome you. Contact JJ Kayaking Thailand for an appointment.